From Sioux City to Cedar Rapids, TSI is the leader in shipping to Iowa. We help thousands of families and businesses every year — and we want to help you. If you’re looking for stress-free service and affordable rates, look no further than TSI. Why choose TSI as your Iowa shipping company? Our vast network means you can ship to and from almost anywhere in the US quickly. Wherever you are in the Hawkeye State, we can help. Our dedicated team members go above and beyond to get you the best price. 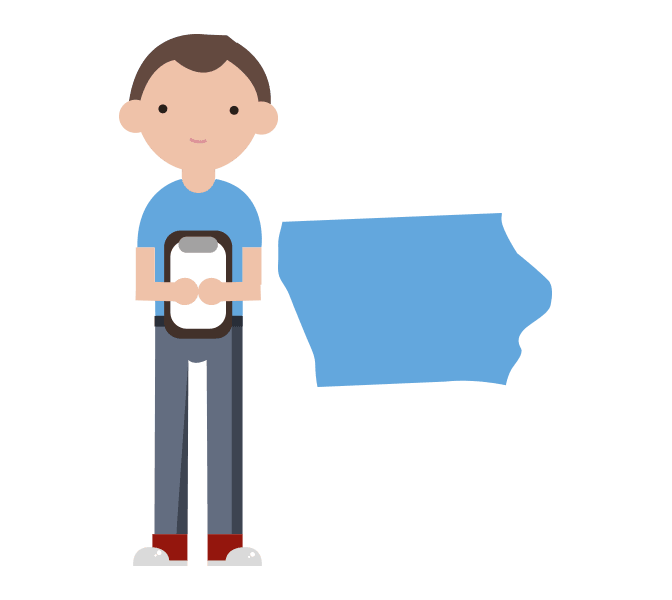 Shipping to Iowa is easy with TSI by your side. TSI has been providing shipping services in New York since 1989. Our customer service professionals know how to get you the lowest rate for your specific shipment. Your Iowa shipping quote goes through real human review and is double checked for accuracy. Once your shipment is booked, you have the whole TSI team at your disposal. We’ll handle all the paperwork and offer our expert opinions. Whether you choose Economy or White Glove, our Iowa shipping professionals will make sure everything is classified and documented correctly. No delays or fines for you. Excellent customer service. Talked to the same person each time I called and was given updates regularly. They suggested methods of packaging which reduced costs on my end. Pick up was not troublesome at all. The driver was very friendly and explained how shipping was carried out. I would/will use TSI again. This is the 2nd time I have used TSI to ship family heirlooms across the country. Professional, easy and friendly to work with setting up transporting a treasured family heirloom across the country. Great communication. Wrapped and packaged trunk with care and with many layers of padding. The recipient was pleased with the delivery, unpacking and placement of the trunk. Call our interstate shipping specialists at 1-800-626-1257 to get started. Or request a quote online.